Author of DEADLY GAME and WICKED GAME, the second and first novels in his Robert Finlay series, Matt Johnson graciously took the time to answer some questions about his writing process and inspiration for this fantastic series. Read on for his fantastic answers! 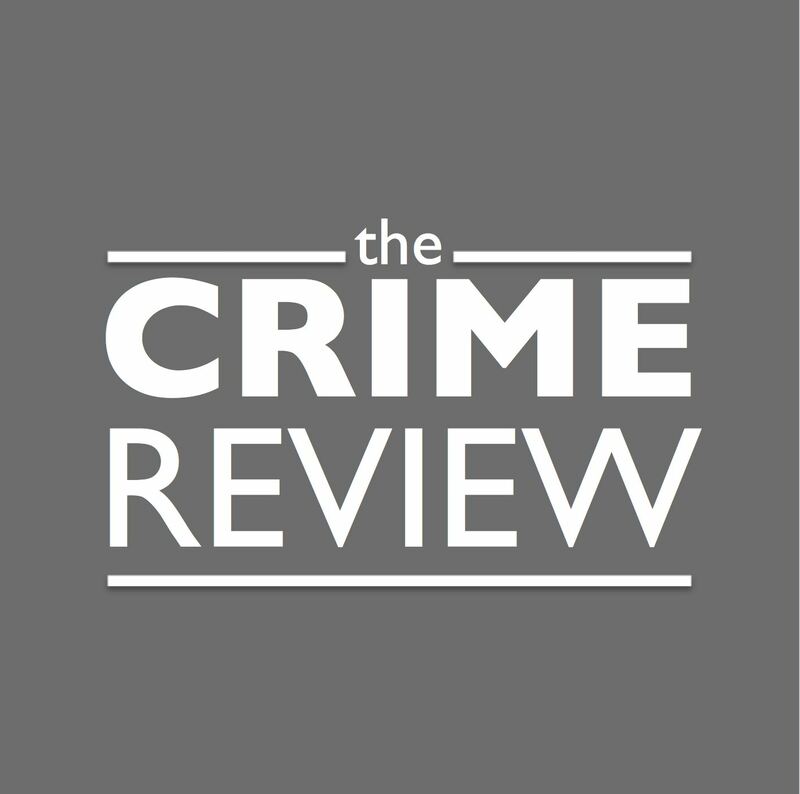 The Crime Review: For those who have not heard the story, could you tell us a bit about how you came to writing, and how Robert Finlay was developed? Matt Johnson: I sometimes describe myself as an accidental author. To keep a very long story short, I was diagnosed with PTSD in the 1990s while serving in the Met. Exposure to several bombing incidents and being present when my colleague and friend Yvonne Fletcher was shot caused hidden wounds that eventually manifested themselves as that condition. I was referred for counselling and, as part of that process, I was asked to write about my experiences, feelings, emotions etc. One day, the counsellor suggested I write a book. I wasn’t minded to at the time but, many years later, my personal circumstances changed and I decided to give it a go. My first book – Wicked Game – was the result. Then, through a very fortuitous series of coincidences, I was lucky enough to be spotted by literary agents Watson-Little. Robert Finlay is a character who grew as I wrote. I wanted to base my first attempt on a central character, and to use his story to both entertain and to inform about PTSD. I started writing in the 3rd person but, for reasons I didn’t really understand at the time, I found that the story was rather shallow and that his character lacked colour. Then, I tried writing him in the first person and, as I did so, I ploughed my own life experience into the character. I invested him with my own emotions and thoughts and I found that this brought him to life. Finlay isn’t me, and I am not Finlay, but we do share quite a lot. The Crime Review: That’s an incredible set of experiences and we are so glad that you can share part of that through Finlay. Because you have a background that gives you insight beyond many crime and thriller authors, and the way you write, it’s hard to tell where the ‘true’ or ‘real’ material ends and the ‘fiction’ begins in your writing! How much of your novels would you say could potentially happen? Or is it all within the realm of possibility, and we just don’t know it? Matt Johnson: I think you’ve answered that question for me. Both books are fiction, but are very much based in the real world in which they are set. And yes, what I’ve written could very well happen, and indeed it may well be that it has. I’ll leave it to you to draw your own conclusions. The Crime Review: WICKED GAME, your first novel, and DEADLY GAME, the sequel, have both been very well-received. Did you have anything you particularly enjoyed about the writing process for these novels? Matt Johnson: Apart from the day I signed a publishing contract, you mean? That was an almost surreal experience. Seriously though, I enjoy writing, but I particularly love having written. I really do like that point at the end of the book, when you go back over it and, having reached the end, accept that you are pleased with the story, that you actually enjoyed reading it. Let’s face it, we are always going to be the first and harshest critic of our own work so to like the results of your efforts must be a key element in the writing process. That said, I particularly enjoy plot development and how the story evolves as I work. Neither book ended up as the one I intended writing. Memories of times past, of people I’ve worked with and of experiences I’ve had came back to be as I wrote. Some prompted ideas and, where they worked, I incorporated them into the story. Some didn’t make the final edit, but they are still recorded and, who knows, they might one day make an appearance in a future work. The Crime Review: We certainly hope so! Is there any portion of DEADLY GAME that you are particularly fond of? Matt Johnson: There are three sections that spring to mind. I wrote the prologue after returning from a trip to Romania, the story line for Deadly Game – slave trafficking – having required me to update my knowledge. The story of Relia, and of how she falls into a trap that so many young women succumb to is based on very real stories I heard, even if the one I created is fictional. My second favourite is a scene between two female MI5 characters, Toni Fellowes and her researcher, Nell. Nell has Asperger Syndrome, so I had to do a lot of research to make her character as authentic as I could. In the scene I favour, Toni and Nell argue over something that has happened to Finlay, the main character. This chapter took me several attempts before I was happy that it worked, for both the characters and the story. My final favourite is a scene that was cut during the editing process. It’s a flash-back scene that I wrote for the point where Finlay meets up with an old colleague. It was a scene I was quite attached to and it was a real ‘kill-your-darlings’ moment when I discussed cutting it with editor West Camel. That said, I know the decision was the right one, and even though the section won’t now be seen, at least I experienced the enjoyment of writing it. The Crime Review: There are essentially three ‘factions’ involved in these novels: the Met, the SAS, and MI5 (and MI6). Do you have a favourite section to write about, or that is more comfortable to write about than the others? Matt Johnson: I’m certainly more at ease writing about life in the Met, having spent twenty-one years as a cop. That said, I do enjoy describing those parts of the military world that it is permitted to write about in the public domain and I also like allowing my imagination to flow when I enter the world of the Secret Intelligence Service. In that world anything is possible, some real events being so improbable that ‘nobody would ever believe it’. The Crime Review: Does your background and insight bring any unique challenges or opportunities to writing novels about similar subject matter that most people would not realise? Matt Johnson: Opportunity, yes, as I have knowledge and experience that I can draw on. I’m also fortunate enough to be able to talk to people in-the-know when researching or brushing up on gaps in my own knowledge. Challenges include having to frequently ask myself what I can write, what is appropriate to say and what might overstep the mark. This can cover a broad spectrum of knowledge from awareness of anti-terrorist procedures that may or may not be in the public domain – I have to check – through to describing the realism of a gruesome crime scene. Sometimes, it’s best left to people’s imagination rather than set down in words. However, I think my greatest challenge is mastering the art of authorship. I’ve now accepted that I appear to have an ability to tell a story. But, setting that story down in words and in a way that, for example builds a plot, creates tension or paints a scene is an art that I am still learning. I’ve benefitted a great deal from the involvement of the Orenda editing team and, in many ways, I’ve taken a fast-track course in creative writing under their guidance. I look back at my first attempts at writing and, when I compare it to the work I’m generating now, I realise how much Orenda have taught me. It’s something I will always be grateful for. The Crime Review: That writing quality really shines through in DEADLY GAME. Do you have a favourite character or characters to write? Matt Johnson: Not really, Finlay is, naturally, a favourite as I write him in the first person and have ploughed a lot of me into him. But I really enjoyed creating his feisty wife, Jenny. I loved the anti-terrorist commander, Grahamslaw, especially when Orenda asked me to build his background and when narrator Leighton Pugh gave him a voice in the audio book. Recently, I very much liked the way that the character of MI5 officer, Toni Fellowes developed and, when I decided to give Finlay a female working partner, I introduced Nina Brasov, another favourite. I don’t base any of my characters on real people, but there are traits and personalities from individuals I’ve known in all of them. As they come to life, I become fond of them all and one thing I particularly enjoy is the feedback from readers where I see that their choice of favourite character is so varied. Some love Finlay, others favour his wife, Jenny. Some like his side-kick, Kevin Jones. Peoples tastes vary and what has become clear to me is that different character traits appeal to different readers. The Crime Review: You do an excellent job of plotting, pacing and tension. Do you plan your novels before you start writing, or go where the action takes you? Matt Johnson: That’s very kind of you to say so. For the first book – Wicked Game – I had no plan at all. I had notes made during PTSD counselling and I had a rather abstract idea of how they might be woven into a story. I didn’t know where that was going to lead me until I started writing. It was only when I came to write a sequel that I started having to plan. With the new book now to become part of a series, it needed to be consistent with book one. So, I found myself making character descriptions, timelines and chapter plans. That said, the story still evolved as I wrote and I tended to plan just a few short chapters ahead. I’m employing this same method for book three. I have the outline of the story and how I envisage it may unfold. But experience with the first two books tells me not to be too attached to that notion. As General Norman Schwartzkopf said ‘no plan ever survives contact with the enemy’. The Crime Review: Do you read crime fiction or thrillers? If so, do you have any favourites – books, authors or series? Matt Johnson: I’m not a huge reader of novels. For example, at the moment I’m listening to an audiobook about the battle of the Somme in WW1 and reading a reference book on hostage negotiation. I tend to read novels on holiday to relax. A big favourite from many years ago was Joseph Wambaugh – The Choirboys. It’s a great tale about a group of LA cops, the dangers they face and the somewhat eccentric methods they employ to relax. Recently, and mostly because I met and liked the authors, I read How to be Brave – Louise Beech, I Let You Go – Claire Mackintosh and In Her Wake – Amanda Jennings. Note the coincidence, all female authors! I found that all three of these kept me turning the pages and drew me back to keep finding time to read more. The Crime Review: The end of DEADLY GAME seems to suggest that there could be more in store for Robert Finlay, and we can’t wait to find out what that might be. What is next for you? Matt Johnson: Wicked Game is a trilogy, and the final part of the story will be published next year. I’m 30k words into it now and enjoying where it’s taking me. I’ve an idea of how it’s going to end, but not sure how we’re going to get there or what will happen on that journey. After that, I have several projects in mind, on subjects that may well see Finlay return for a series. The Crime Review: Thank you very much for taking the time to answer questions for The Crime Review! Matt Johnson: My pleasure. Thank YOU for having me. Thank you to Orenda Books for organizing the DEADLY GAME blog tour – check out @orendabooks on Twitter for more information about the tour, and to visit some of the other great blogs on the tour! Thanks for joining the blog tour Leanna, and for taking the time to put this interview together. Much appreciated. Matt J.